Verizon Wireless has decided that the SMT5800 has a place among the phones it offers. 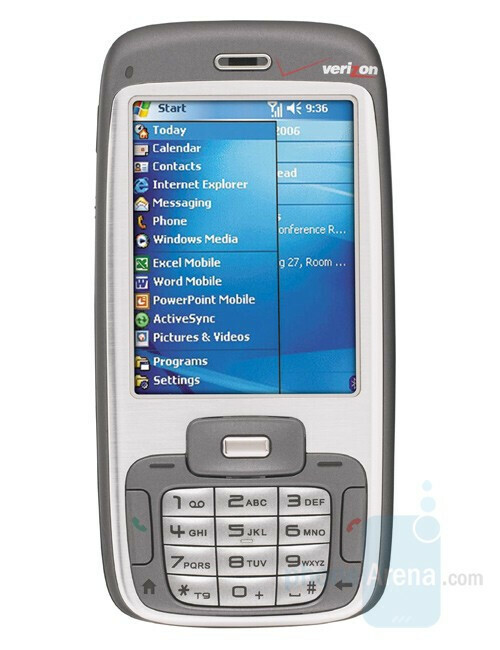 The Windows Mobile 6 OS based smartphone has a 2.4” display, a 2 megapixel camera, a QWERTY keyboard and EVDO support. The price at which Verizon offers it with a two year contract is $349.99. You get a 100 dollar discount if you buy it online and $50 mail-in rebate which is not reflected in the shopping cart price to get a final price of $199.99. It's 6.1.........must be a typo on the part of Phone Scoop. If it was Windows Mobile 7 they would sell that like there was no tomorrow. Got to play with one of these. Say what you want, but it works great, the size is right (not too wide like Q). Actually sharp looking up close.